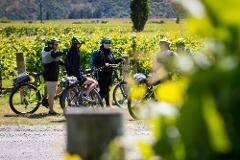 This all-inclusive guided bike tour explores the wineries and cycle trails of the Gibbston Valley. Let us do the planning and you can just enjoy the ride. 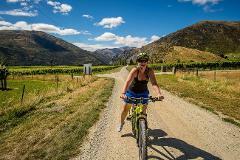 This self-guided bike tour lets you explore the wineries, breweries and cycle trails of the Gibbston Valley at your own pace. We will give you map and collect you from any winery along the trail. 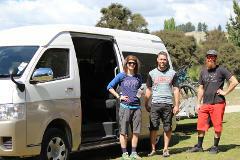 Our 9 seater mountain bike shuttle can be hired exclusively for your group. Transporting you to all local bike trails and sporting events. Choose from half day or full day hire.